Chai…now doesn’t th at sound like a good ring to your ears? You should know that it brings a good ring to your mouth. In several parts of the world, it’s what they call tea! But for many of us, we think of it as a spiced drink. Chai is usually made with black teas (Assam is a popular one) and spices. Much like a good English cuppa, it’s best with a bit of milk and sweetener. The most popular spices used for Chai teas are ginger, cinnamon, cardamom, cloves, anise, fennel, and nutmeg. However, some versions may vary and add different spices. Chai tea is usually enjoyed in India (where it’s called Masala Chai, or spiced tea mix) and other Southern Asian countries, just as how Yorkshire tea is common in Great Britain! Most recently, chai is making its way West to the United States where it’s become very popular among Americans. There are tea lattes, latte concentrates, and various chai tea flavors! In the US (Bonus Trivia: In Kashmir, they actually use gunpowder green tea for theirs instead of black tea! ), there are flavors like vanilla, chocolate, pumpkin, and even apple! It’s getting easier to make your own chai teas at home, especially with so many homes having Keurig brewers. Twinings makes it easy not only to make your own cups of tea but also to make your own chai tea lattes! Forget the coffee shop! Stay at home and make your own! 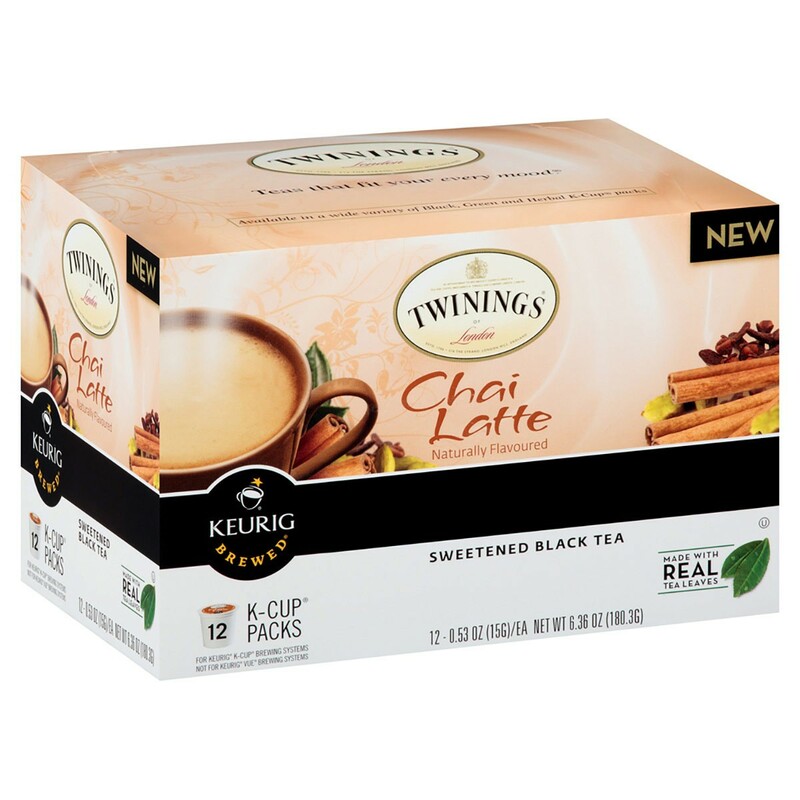 For the price of two barista made tea lattes, you can get a box of Twinings Chai Latte K-Cups. There’s also a French Vanilla flavor! Chai has also been used in food. It’s sometimes used in cakes, cupcakes, and even scones! 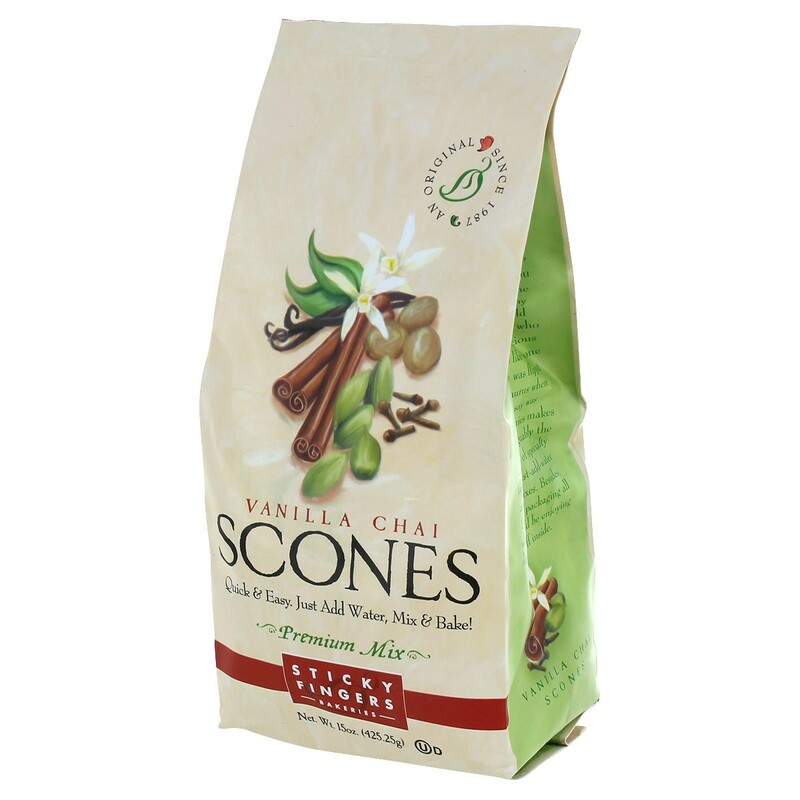 Sticky Fingers makes a Vanilla Chai Scone mix that’s simple to make and will definitely fill your kitchen with a heavenly scent! So don’t fear chai, embrace it!